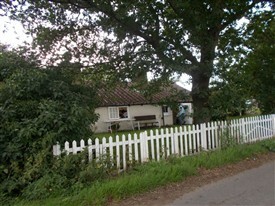 Along Shopland Road is a tiny white cottage behind a little picket fence. The name outside is Skint cottage. I wonder if anyone has details of when the cottage was built and who lived there? This page was added by Mave Sipple on 19/10/2017.